We love how versatile Godzilla is. Rarely is he just destroying a city, more often than not he is fighting against Mothra, Mechagodzilla, and King Ghidorah. With pretty memorable fights featuring King Kong and the Fantastic Four! You don't need to eat an obscene amount of radiation to channel your inner Godzilla! 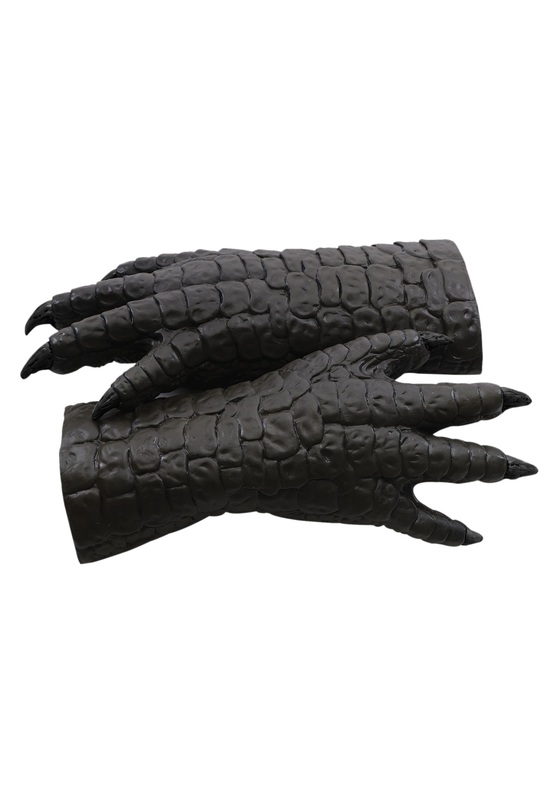 All you will need is your Godzilla costume and these Godzilla Deluxe Latex Hands to finish up the look. They might give you the radio active power to shoot atomic breath from your mouth and lasers from your eyes! (But probably not.) It will be a great Halloween costume, and then later you can destroy that LEGO city you built as a kid, with true Godzilla stomping power. You'll be a giant among the tiny buildings. *smash* *stomp* *crash* Just don't forget that LEGOs hurt your feet when you step on their pointy corners!